Once again our leaders have stepped up to the plate, and knocked it out of the park. They show up everyday for YOU, so that you can get through the mindset struggles and setbacks. So those setbacks never keep you from achieving your dreams of freedom. These are six, seven, and eight figure earners who have lived through all the trials that you’ll go through on your journey to success. And they’re giving YOU the details of how to rewire your mind to get through them too! 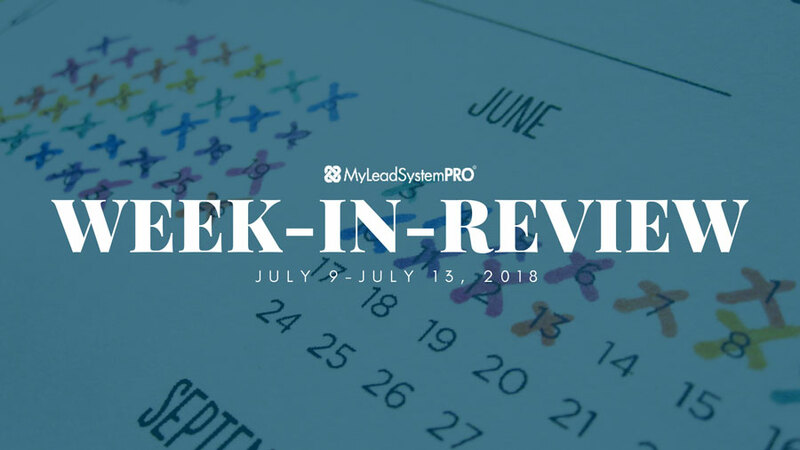 Check out all the amazing value the leaders of MLSP gave up on their own time this week! When it comes to home business, people tend to go one of two ways. They go it alone, sticking to themselves and struggling…or they have so much fun they forget to make some money. If you’ve found yourself in any one of these situations on your journey toward success, you’re certainly not alone. And on Monday’s Wake Up Call, the Queen of Attraction Marketing Diane Hochman had the solution for you! A secret that Diane was taught a long time ago that’s served her very well along the way! Diane hopped over to the MLSP Facebook Page and hit the LIVE button to dive deeper into her topic on Monday. This was a powerful LIVE that you’ll want to make sure to watch. She even brought her furry friend on the broadcast with her! How do you stay motivated in this game? In this journey when there’s so much to learn and so much to do. Ups and downs, peaks and valleys will come for everyone. But what do you do when you’re in those valleys of doubt that you can’t get to that next stage? Even though he’s a master at video marketing and social media lead generation, Steven Rachel still finds himself in those times of lack of motivation as well. How does he get through them? How did he stay motivated to become the success he’s become! You’ll find out on his Wake up Call from Tuesday! One of the top things you MUST look at when you’re on a downswing in your home business and feeling unmotivated to move forward! Why the leaders tell you to do the things they tell you to do…and why YOU should do them! Steven Rachel loves to go the extra mile for our community. And that’s exactly what he did when he headed straight over to the MLSP Facebook page immediately after his Wake Up Call! What do you have to do if you’re feeling overwhelmed? If you’re feeling broke and stuck, Brian Fanale hosted a Wake Up Call that you MUST hear on Wednesday! We all tend to make this entire thing way too complex. The things MLSP teaches breaks home business success down to the simplest form. While you will learn some specialized skills along the way like traffic generation, content marketing, social media marketing, etc… it can all be broken down, and kept simple. Nobody knows how to teach this stuff better than Brian Fanale and he broke it all down for you on this call! How to keep your brain from wiring itself to affirm the negative beliefs you’re running through your head! 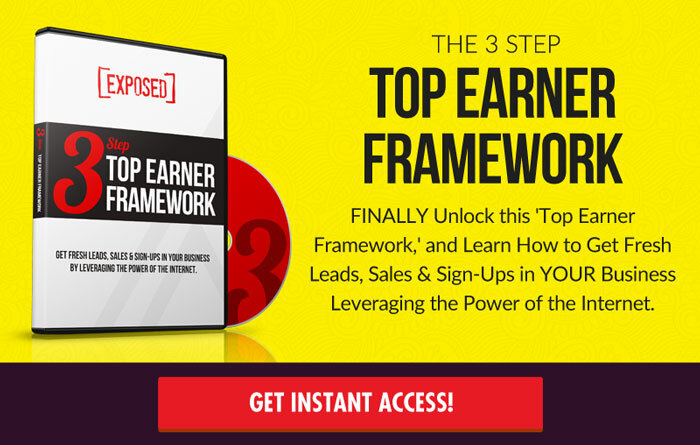 The 3 growth phases of your business that will keep everything drop-dead simple for YOU! Brian bounced right over to the MLSP Facebook Page to go LIVE and make creating success with your home business even more simple for you! This is a MUST SEE replay below! What’s the one thing you can be sure of when it comes to becoming an entrepreneur and finding financial freedom with your home business? It’s that things WILL go awry! Things rarely go as planned. It’s just the nature of the beast and the way YOU adapt to that will dictate how well you do in this business, and how quickly you’re able to do it! You’ll have expectations that might not get met on your journey, but does that mean you stop shooting for a higher goal? No, because you might just hit something close to that goal. Todd & Leah Getts created success quite quickly here in MLSP, but not without their own setbacks and struggles. When developing their highly effective Twitter Strategy things didn’t always go as planned, but they adapted and overcame. They show YOU how to do the same in their important Wake Up Call from Thursday! Todd and Leah are huge assets inside the MLSP community and beyond. They’re always willing to give more of themselves, and they proved that once again when they went LIVE from the MLSP Facebook Page on Thursday! If you’re in a home business, then you need to understand that there is most certainly a way. We’ve got tons of success stories and leaders inside MLSP to prove that. But that doesn’t always mean you believe it for yourself. Keysha Bass is a straight shooter when it comes to showing what YOU can become in this business. She tells it like it is, because that’s the way you need to hear it. She also loves this community and loves to celebrate Friday’s with some inspiring words to move you forward in your business. The powerful story of how Keysha got started with her home business…and became the huge success she is today! The quote that you should write down today, and read everyday! Keysha Bass knows there IS a way for you! She’s the evidence, and she went further into the details when she went LIVE directly after her Wake UP Call! The Best Way to Keep Your Head in the Game! Hopefully you’re all caught up on anything you might have missed during the week. Will YOU be there for yourself, and take the action required to become a success in this industry? When you do, great things happen! You can see proof of that on our latest Success Story Saturday Blog Post!